Ignacio Cuenca of Iberdrola has been proving that the Spanish utility is top of its class for the past 15 years. 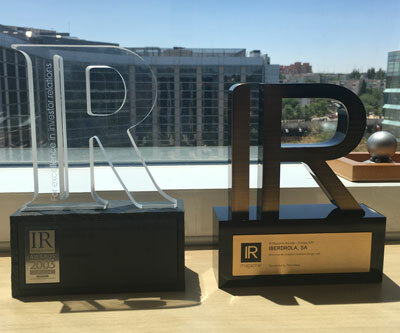 The firm, which this year won the best overall investor relations award in the large-cap category at the IR Magazine Awards – Europe for the second year running, as well as being named best in sector in the Global Top 50 at the IR Magazine Global Forum & Awards 2018, was winning those same accolades back in 2003 when it was just a small cap. Human also asked Cuenca how IR had changed over his career at Iberdrola. The emergence of new methods of communication, the increasing speed at which news is reported (forcing IR teams in turn to up their pace), the growing demands for better transparency and corporate governance and the increasing globalization of the shareholder base were some of the trends Cuenca highlighted back in 2017. Speaking to him for the winter issue – and 30th anniversary – of IR Magazine, we asked: What’s the secret to IR success for you and your team? ‘Treat investors and sell-side analysts as your company’s most important clients,’ he advises. A version of this article was published in the winter 2018 issue of IR Magazine – the 30th anniversary issue of the industry’s premier publication.